I love this chandelier and it is the center point of my dining room. I am very happy with this purchase and I had no issues with damaged light bulbs. 5 stars all the way! The ultimate collector s item, this vintage-inspired sputnik 20 light adjustable pendant lamp transforms any space with its character and high style. Its sleek polished metal lends the aesthetic prowess of modern sculpture while providing a gentle glow. 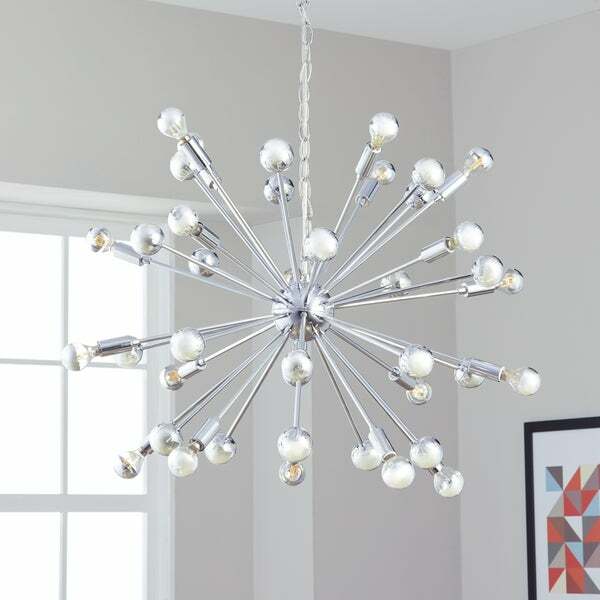 This Sputnik 20-light chandelier/pendant lamp is gorgeous! It really brightens up my dining room. It adds that touch of “artistic lighting” to my room with a contemporary/modern flare that works well with a traditional and rustic feel. Only one of the twenty supplied bulbs were defective. If you are undecided, this is a must! Simply beautiful! 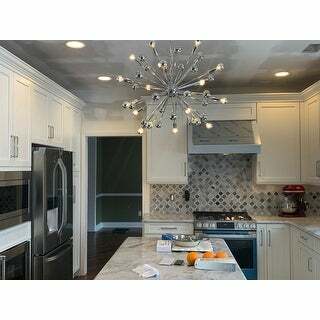 This light fixture is BEAUTIFUL! It’s big and makes the room look so elegant. It’s exactly the finishing touch my living room needed to create the look contemporary look I was going for. I was worried it wouldn’t be bright enough because of the small bulbs but it really lights up the room! More than my original light fixture! The best part is that it came with all the hardware and bulbs you need to install it. So if you’re as impatient as I am, you can put it up as soon as you receive it!! In LOVE!! Beautiful piece, and easy to install! We love Sputnik! It’s a beautiful light fixture in my master bath. I love everything about this chandelier! I had it professionally installed and added a dimmer. I've had no problems with it except for the fact that I can't stop looking at its beauty. I didn't realize it supposed to have come with bulbs until after reading other reviews. Telephoned Overstock and they said they will contact me by Monday regarding the missing bulbs. Will update. UPDATE Overstock.com gave me a credit for the money that I spent on my own light bulbs. I was so happy I was able to find similar bulbs but they were very very costly. I love O customer service department. Very satisfied customer! 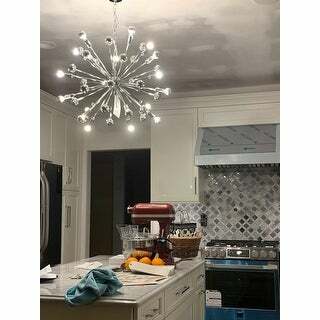 Beautiful modern unique light fixture, it's been a conversation piece in my home with friends and family! It goes with all seasons aesthetic-wise, and can be decorated according to the holidays to give it a personal artistic touch. You can put electric tape inside the bulb base and not twist in all the way to select the bulbs you want off. Strong sturdy chain, can purchase frosted led bulbs (buy compatible led dimmable bulbs if using a dimmer switch) to give it a softer glow! Highly recommend! The light is absolutely beautiful. The only thing that I did not like was that the measurements were off. The light is not 31 inches wide which is what I was anticipating. This lamp is stunning in person, the sliver tipped bulbs really look great and it's the perfect thing for my high ceilings. Great addition to the room and easy to assemble. 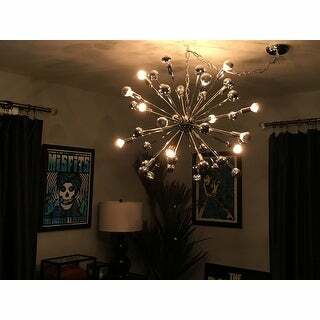 I like my Sputnik chandelier, but I'm a little concerned that I can't fine any replacement bulbs for it on-line. Can you tell me where they can be purchased? 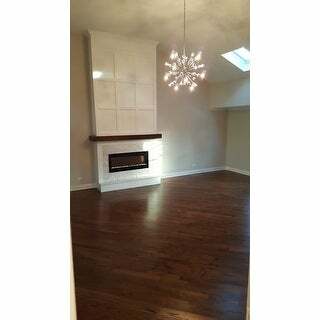 Love this snowflake chandelier. Looks fantastic. This light is worth every cent and more! Excellent chandelier. 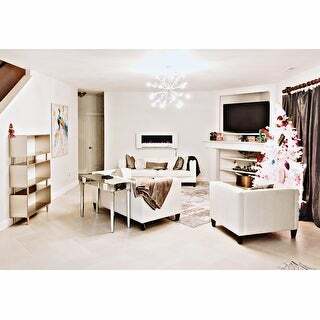 Very pretty and modern. Good quality. The only issue is that the type of bulbs (half chrome) are very hard to find. I hope the bulbs provided last forever. Still a good buy. My dinning light is so perfect and wonderful and space agey! I look up at this light many times a day just to admire it. We have a MCM furnished home and this lamp is perfect. And in spite of being sent to me in a box with lots of bulbs, not a thing was broken. Great shipping! Well made. Looks awesome ! The bulbs included are not dimmable. "Can this be installed on a slope ceiling?" There should not be any issues installing this on a slope ceiling. "Are these cool white or warm white bulbs? If not cool white can someone give me the info on size and type so I can order cool white bulbs for this? If not I can not order. " These bulbs are warm white. The bulbs that are included are C26, 26 x 26 x 73mm, 25 Watt, 200 Lumen bulbs. "Does anyone have a link for replacement light bulbs? I can't seem to find matching ones anywhere." "Are the bulbs replaceable or not?" "Can it be installed on sloped ceiling?" "What types of bulbs does it use and where can you buy them? I don't see a response that makes sense to this question."